Citation: Czajlik, Andras; Mesko, Eszter; Penke, Botond; Perczel, Andras. "Investigation of Penetratin Peptides. Part 1: The Environment Dependent Conformational Properties of Penetratin and two of its Derivatives" J. Pept. Sci. 8, 151-171 (2002). 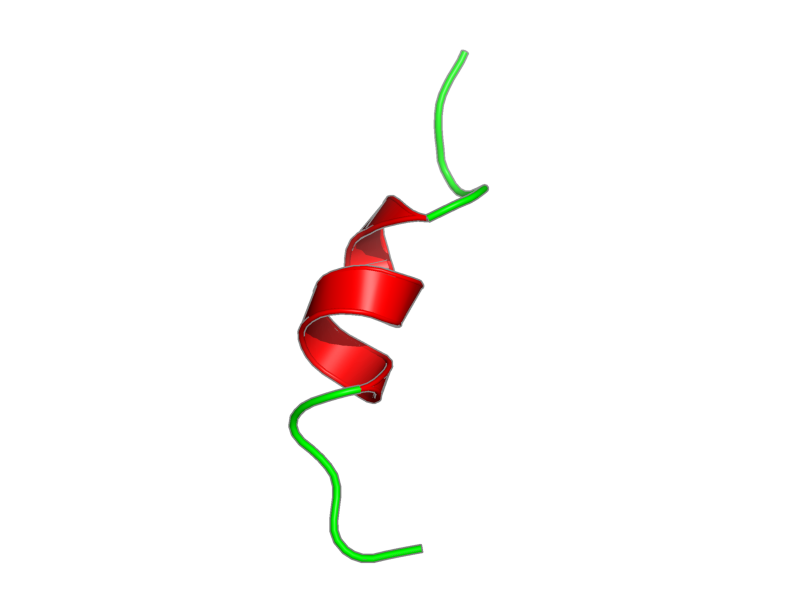 third helix of Antennapedia homeodomain, polymer, 16 residues, 2246 Da. Entity 1, third helix of Antennapedia homeodomain 16 residues - 2246 Da.